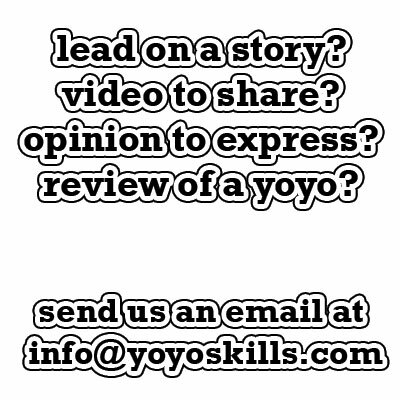 Friday's Video's "After the Jump"
Welcome to our regular bi-weekly feature called “After the Jump Yo-Yo Videos ” where great yo-yo video’s thoughout the week will be collected and shown in one big post. After the Jump: JUSTyoing All Star in Russia 2 Minutes in Heaven … Level 9. Tater Tots : A Concept Video It’s like that.